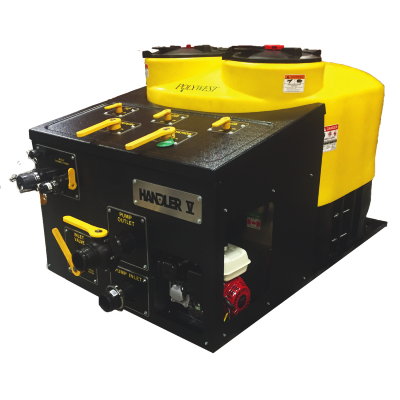 Handler In addition to the ability to cut, empty and rinse a container in seconds, the Handler mixes powders and dry products easily and quickly. 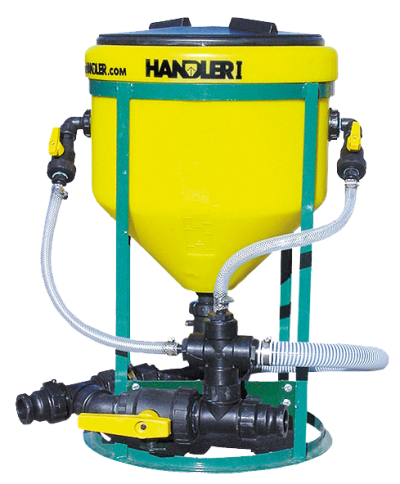 Handler II With a capacity of 42 US gallons, the Handler II allows the user to batch mix everything. 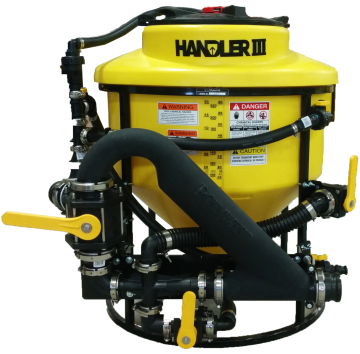 Handler III The Handler III comes standard with the innovative Banjo threadless manifold system. Handler IV The Handler IV is definitely the biggest and most impressive induction tank on the market today. All in less than 30 seconds while filling your sprayer! There is no waste - your chemical is fully used. Working in conjunction with a custom-made Handler venturi, the Handler can save you time and money and decrease your risk of exposure to potentially harmful chemicals. 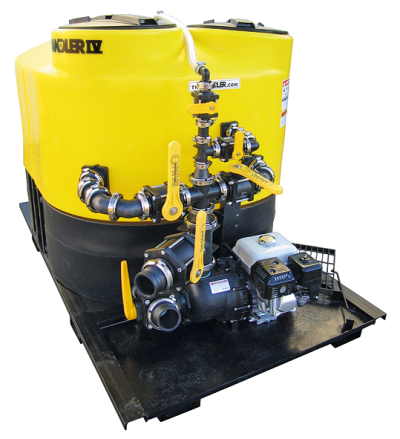 optional frames that accommodate any 2 or 3 inch transfer pump, & optional recirculation packages to allow for batch mixing. A pump kit is optional with the Handler II, III, and IV. 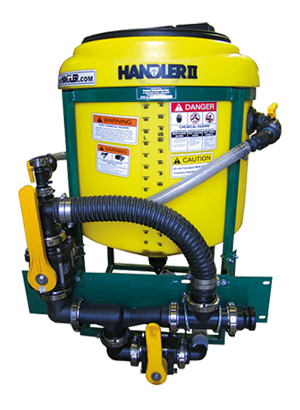 A plumbing system featuring the innovative Banjo manifold threadless fittings is available with every Handler model. With the manifold system, assembly time is shorter, leaks are eliminated, and parts are easier to repair or replace. 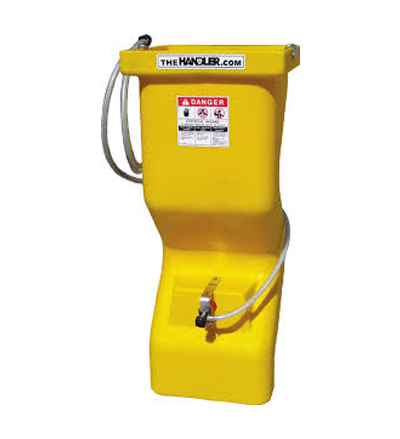 The patented RotaFlush comes standard with every Handler III and Handler IV. This high capacity tank rinse nozzle prevents cross contamination and quickly and easily rinses out the tank. Draw from bulk containers using your Handler II or III. 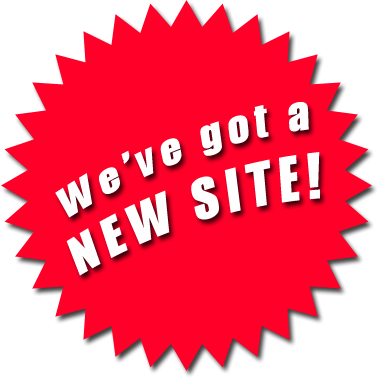 By adding a 1” or 2” Banjo magnetic flow meter or a 1” Sotera 850 flow meter, and a bulk adapter kit you use the Handler venturi to directly induct product into the fill line. 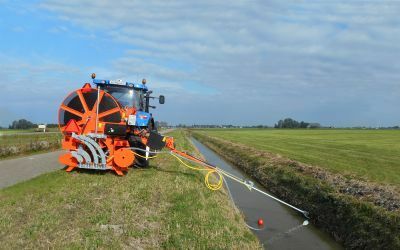 This non-mechanical process eliminates the need for slow chemical pumps and simply won’t break down.